It was the day that our current Woodstock students have all been waiting for: welcoming the new girls who are starting at Woodstock next year for a very special playdate. 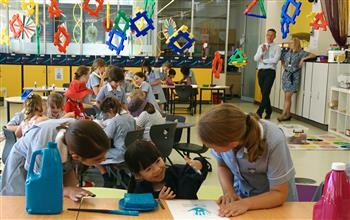 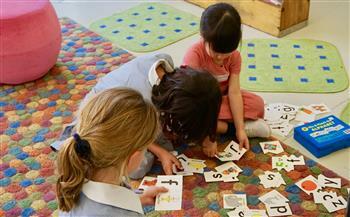 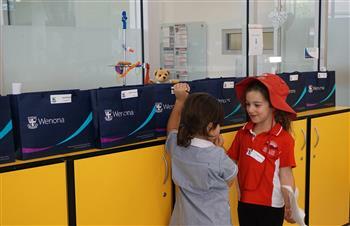 Orientation Day is an exciting and nerve-wracking day for both children and parents alike. 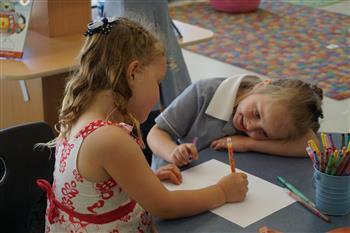 For some, it can be a day of strong emotions and a few tears. 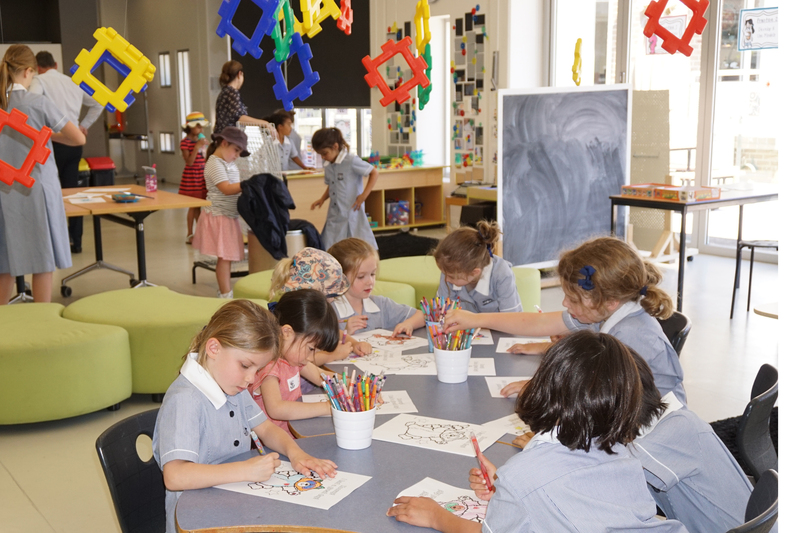 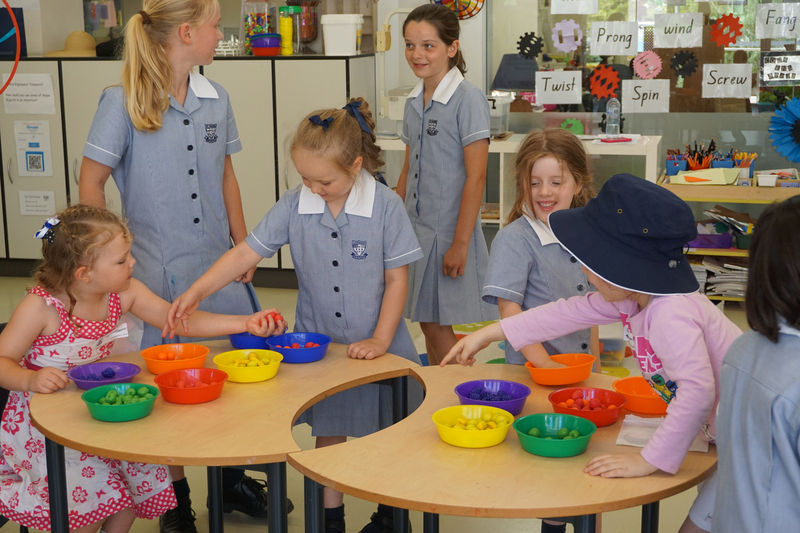 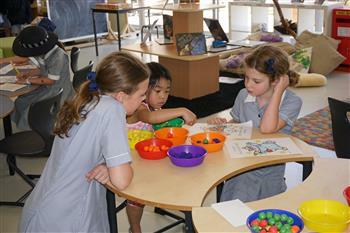 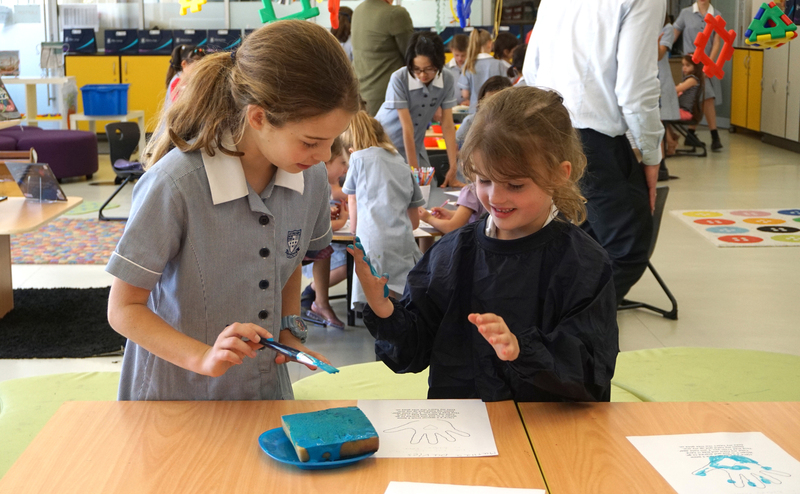 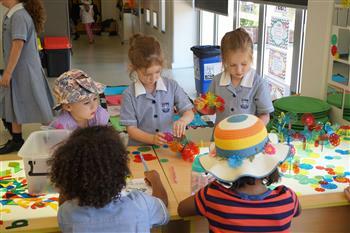 Fortunately, our current Woodstock students were on hand to welcome the new girls and help them enjoy their first foray into primary school. 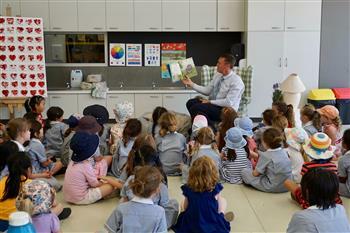 Mr Sandal helped to settle any nerves with a lively reading of The Kissing Hand by Audrey Penn. 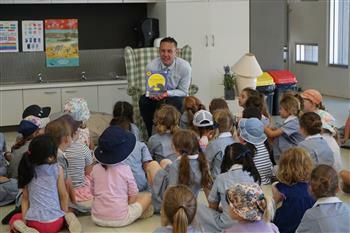 It tells the tale of Chester Raccoon who is nervous about starting school. To help ease Chester’s fears, Mrs Raccoon shares a family secret called the Kissing Hand to give him the reassurance of her love any time his world feels a little scary. 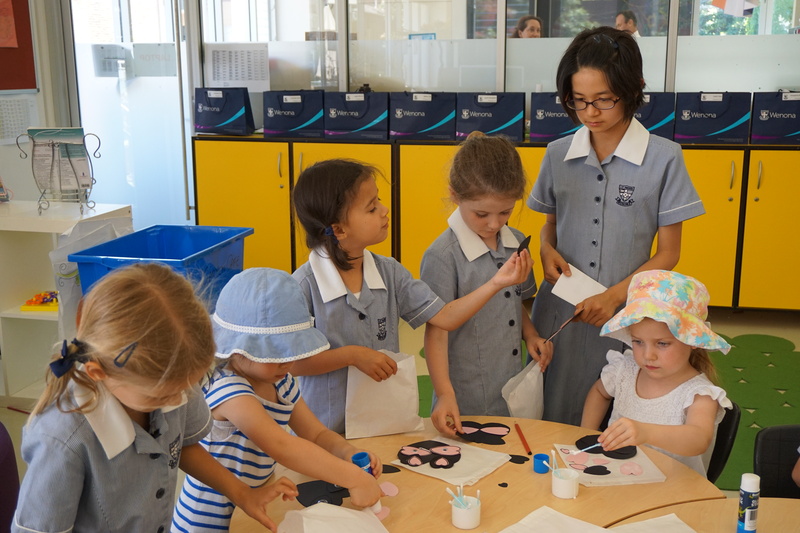 The new students had lots of fun making their very own painted “Kissing Hand” handprint to share with their parents, a lovely memento of a major milestone. 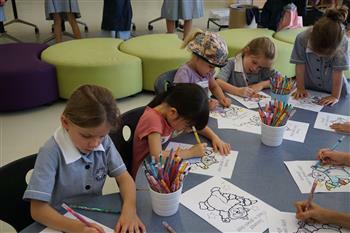 They also enjoyed colouring in a picture of Chester Raccoon. 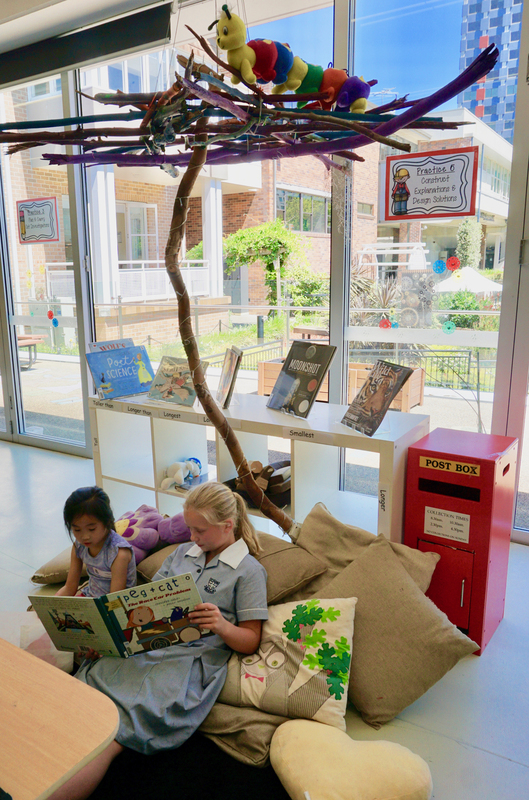 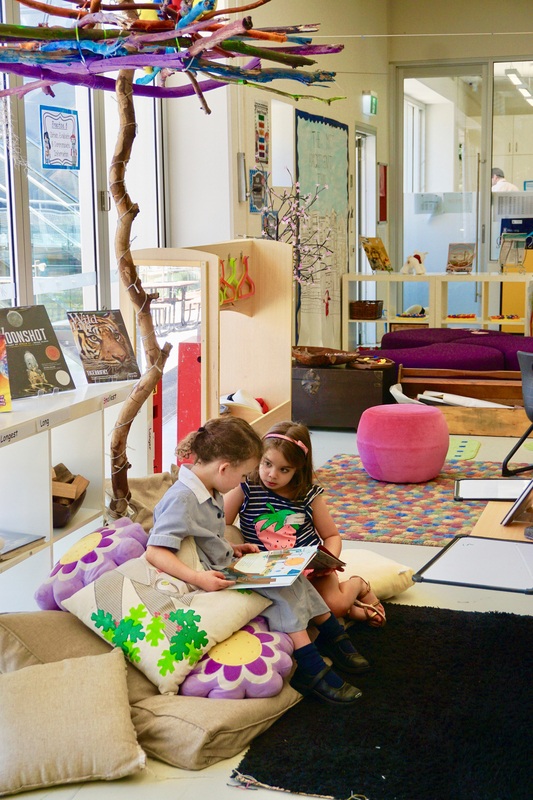 For our current Kindergarten girls, it was an opportunity to showcase the reading skills they have acquired this year, and they enjoyed sharing their favourite books with their new friends. It was a lovely afternoon and the start of some beautiful new friendships. 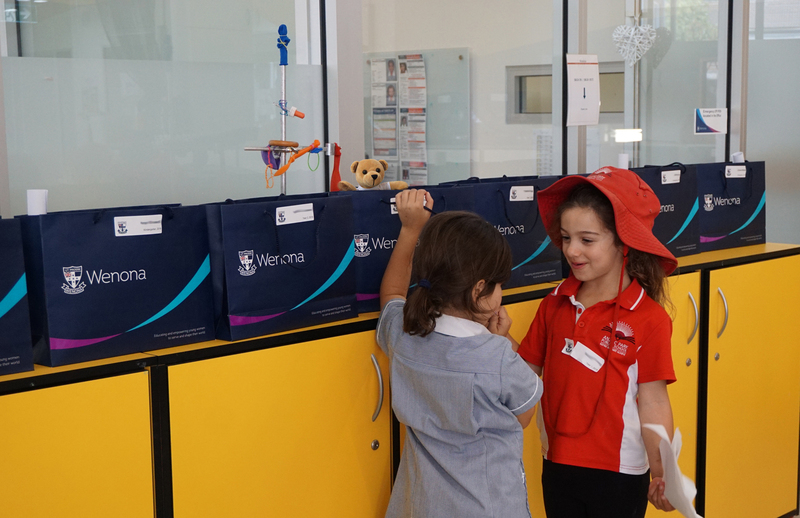 One of the highlights for the new girls was the Wenona gift bag, complete with their very own Wenona teddy bear!